•	Range in length from a few sentences to 10 pages long, depending on the age of the submitters, the format they select, and how much they have to say. •	Take the form of essays, short stories, poetry, drawings, and photographs, or whatever else you create that can be depicted in a two dimensional format. •	Use pseudonyms or real names, be as anonymous or out as you wish. 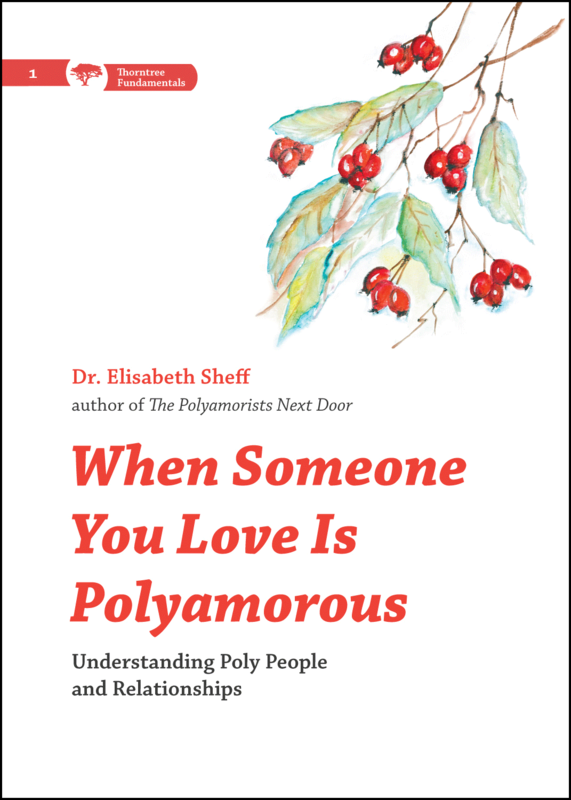 •	Come from anyone who identifies as a member of a polyamorous family composed of all adults, adults and kids, or some other mix of folks who identify as family. To submit a contribution to Stories from the Polycule, please email them to drelisheff@gmail.com by October 15, 2014. •	What is the best thing about being in your family? •	What is the worst thing about being in your family? •	What do you think about your family? The adults in your life/your parents’ partners? •	Any cute stories or quotes the adults in your life remember you saying about your family? •	Do you tell your friends, kids at school, teachers, or other adults about being in a poly family? Why or why not? •	What do you think about your parents’ partners? 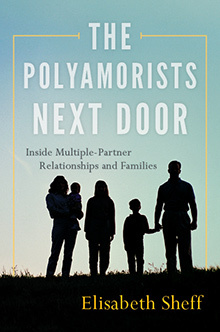 •	Can you talk to your extended family members (like grandparents and aunts or uncles) about being in a poly family? If yes, how does it go? If no, why not? •	Do you think you will have polyamorous relationships when you grow up? Why or why not? •	If you have tried dating at this point, how did it go? Was it monogamous, poly, or something else? •	Are you happy your family is poly, or do you wish they were monogamous (or something else)? •	Some people think polyamory is bad for kids. Do you agree or disagree, and why? •	How did you find out that you lived in a poly family, and how did you feel when you first found out? How do you feel now? Why? •	What relationship do you have with the children in your life? 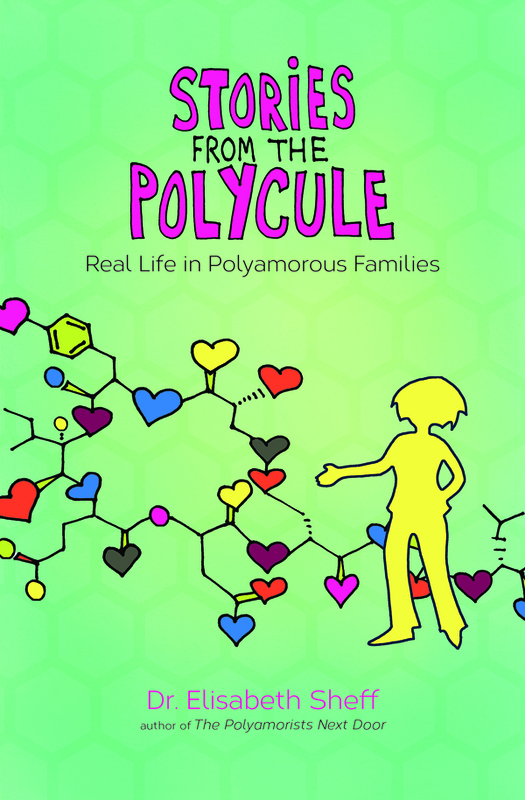 •	How do you think polyamory has affected your family? •	How did your family get together (ie. How did you get started in polyamory, what is your family like now, and how did it get that way)? •	What are the best things about your poly family? The worst? •	What is one of the best things that have happened to your family? The worst? •	Have you experienced any discrimination because of your status as a member of a polyamorous family? What happened, and how did you deal with it? •	Why have you split up with partners in the past, and how did it go? Why do you have the partners you do now? •	Did you come out as poly to your kids? Family of origin? Friends? At work? Why or why not? •	If you are not the biological parent of a child (something Sociologists call a social parent) in a poly family, but have a close relationship with that child – how does it go? What does the child call you? What do you do together? How are you treated in public? By other family members? •	Do your adult children know you are poly? If yes, how do they react? If no, why not? How do you keep it hidden? •	Please describe your poly family and how it came to be. •	What are the benefits of being poly now? When you were younger? •	What are the disadvantages of being poly now? When you were younger? •	Looking back, what do know now about polyamorous family life that you wish you had known when you were younger? Quite interesting. I haven’t read the book – but after this I believe I will! Is it on amazon? Yes, in fact you can link to it from this website (on the right side of the home screen) and I get some kind of author benefit through Amazon.